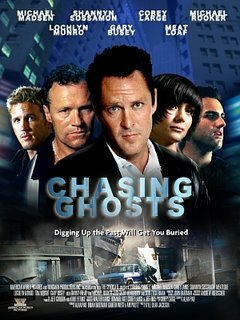 Chasing Ghosts was a pretty good mystery. 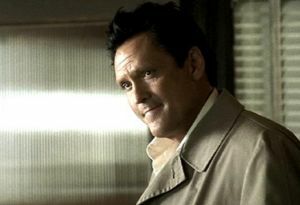 Michael Madsen stars as Detective Harrison, who is about to retire. He only has one more case to solve: Who is killing the crime lords around NYC? The best parts of the movie are the confrontations with Madsen and Gary Busey, and the twists near the end. Meat Loaf, Michael Rooker and Danny Trejo are underused. The style of the film also works. The cinematography looks great but there are a little too many quick cuts. 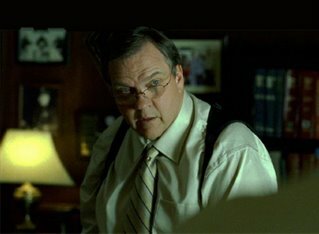 It was shot In L.A. but the director did a good job hiding it. It's worth seeing for an excellent Michael Madsen performance and the presence of the eclectic cast. This is a very confusing movie. I have to see it again .. I feel lime i missed something.. Same here. Saw it ages ago. Will have to re-watch it also.